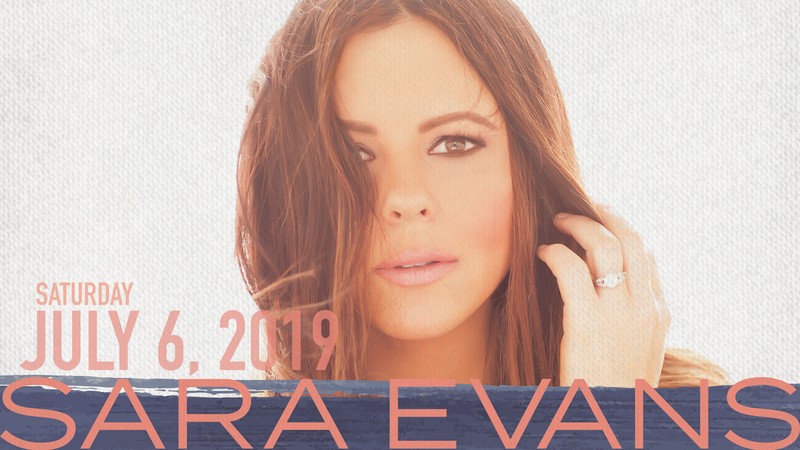 Sara Evans returns to Shawnee Bluff Vineyard on July 6th, 2019! Tickets go On Sale Saturday, February 2nd, 2019 at 8am CST. Words is the first project on Evans’ own label: Born To Fly Records, appropriately named after that CMA-winning signature song, which celebrated risk and adventure. Much is familiar about Words. Evans’ voice is warm and strong, the songs are authentic and memorable, and the actual words themselves resonate with the realities of everyday life. But the album was an eye-opening experience for Evans as a creative force. As the head of her own small, flexible company, she was able to take a streamlined approach to building it. Instead of subjecting the music to multiple departments, each with their own view of one part of her career, Evans approached it with an instinctual, gut-level focus on making a project that represents the 2017 version of Sara Evans. Live Music on the Patio at 5pm. Sara Evans takes the stage at 8pm. Followed by an EPIC Firework display by Brilliant Skies. Parking is $5, and %50 of the proceeds goes to the L.A.M.B. Charity. Kids 5 and under are free, but will need to purchase a ticket if a seat is required. New ATM now available on the site. Outdoor venue so Sunscreen and bug spray are suggested.